How does GVB Monitor Its Performance and Why do Travelers Complain? Trams tend to be the preferred way of transportation by locals and tourists in Amsterdam. The trams are managed by the GVB, the Amsterdam Transport Authority, which also deals with the metro, buses and ferries in the city. It’s the easiest, most convenient and usually fastest way to get from one point to another, especially in the central areas and for short distances. Trams have 3700 fares a day, and are the second busiest way of transportation after the metro with 42.000 boarders per day. However, this is often at the expense of the good service and the comfort of the passengers. Tram Drivers – Responsible or Rude? People on Twitter complain that sometimes drivers of the old trams, like number 16 and 24 in particular, refuse to open the front door and the passengers have to walk to the second one, where there is no conductor. What happens is that people, who need to buy tickets, and mostly tourists, have to walk through the second doors back to the driver. Is this part of safety regulations or simply rude? “We apologize if passengers experience inconvenience due to behaviour of tram drivers. That should never be the case, and it has our utmost attention. Drivers of the old trams normally open the front door to let travellers in. If the tram is very full in the front, for example with travellers lining up to buy a ticket on board, they might decide to only open the back door in order to keep the tram moving and thus reduce delays. This is however, not a common procedure. 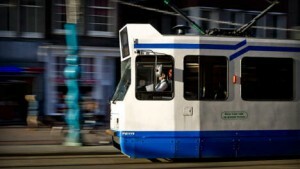 Unfortunately, the old trams do not provide room for a conductor and therefore the responsibility for driving the tram and selling tickets all comes down to the driver.” – comments the Spokesperson of GVB, Mireille Muller. GVB encourage and recommend buying tickets in advance or travelling with a rechargeable OV-Chipcard. Mireille Muller explains that for tourists visiting Amsterdam there are over 65 hotels that sell GVB day-tickets at their reception or concierge desk. These tickets can also be purchased in 50 tobacco/magazine shops and at Ticket & Information desks at Central Station, Bijlmer, Lelylaan and Zuid. A day ticket provides 24-hours of unlimited GVB Public Transport. It makes travelling around Amsterdam easier and helps in reducing the queuing at the stops because the passengers do not have to purchase the ticket in the tram. People are also not happy with drivers often talking on the phone or driving too fast. Passengers also wonder why only the in-vehicle staff has a privilege of having air conditioning in their cabins. The trams sometimes run off schedule or do not stop even when a person has given a signal that they want to get on. Does this show that drivers do not do their jobs properly or is there another reason for that behavior? GVB acknowledge all serious complaints, but also realize that sometimes travelers are just venting their emotions on social media, which is popular these days. 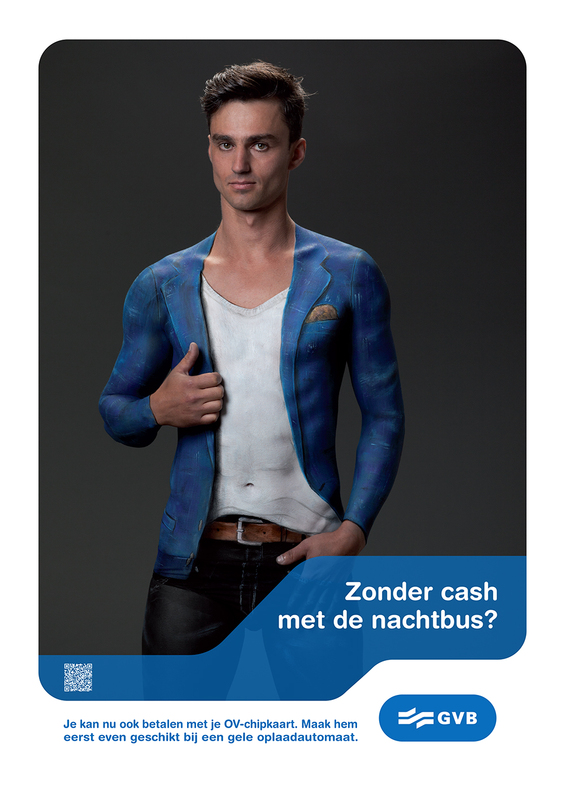 The Nightbus Body Paint Campaign Inappropriate? Travelers on Twitter also express outrage over the inappropriate in their opinion campaign of the night buses in Amsterdam, showing a naked woman, covered only in body paint. Obviously, the aim of GVB was not to show women in a disrespectful way, since there is the same image with a man, covered in body paint. The advertisement simply sends out the message that you don’t need cash, bag or pockets anymore to ride, only the OV-chipcard. And that on the night bus – where we have seen much more inappropriate things from some of the travelers themselves. In our opinion, someone has done a very creative and daring job for the campaign and should not be blamed for that. Interfilière Paris: 2017 Definite air of lightness and dynamism!